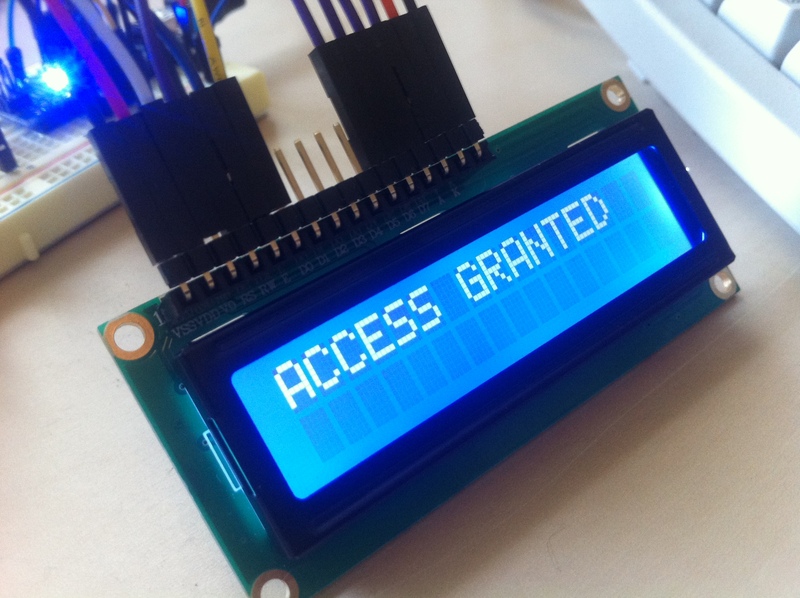 This is quick example of using RFID to control access to some piece of arbitrary electronics, in this case a Macintosh Classic computer. As a proof of concept all the added components are outside of the Mac, but in a more finished product they could be moved inside the enclosure for example. 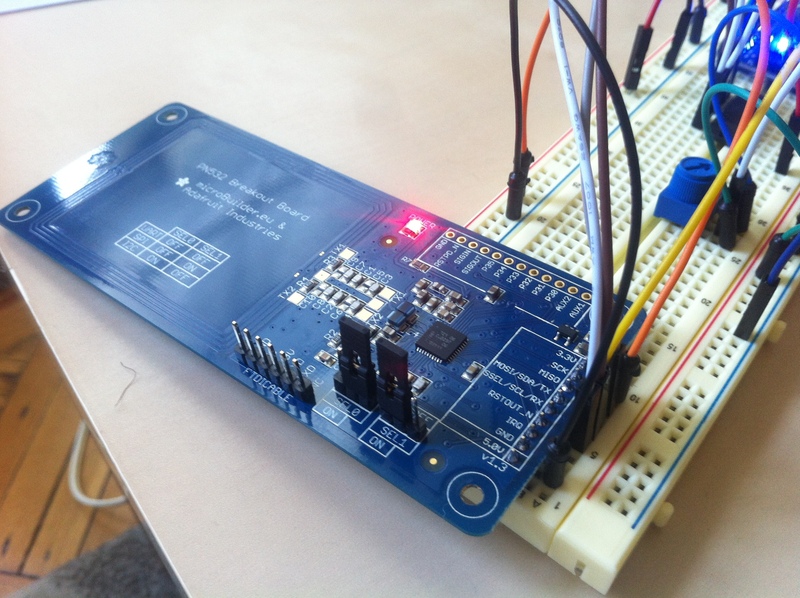 I’m using a PN532 NFC/RFID breakout board connected to an Arduino. Using this the Arduino can read the ID code on any ISO14443A RFID card. 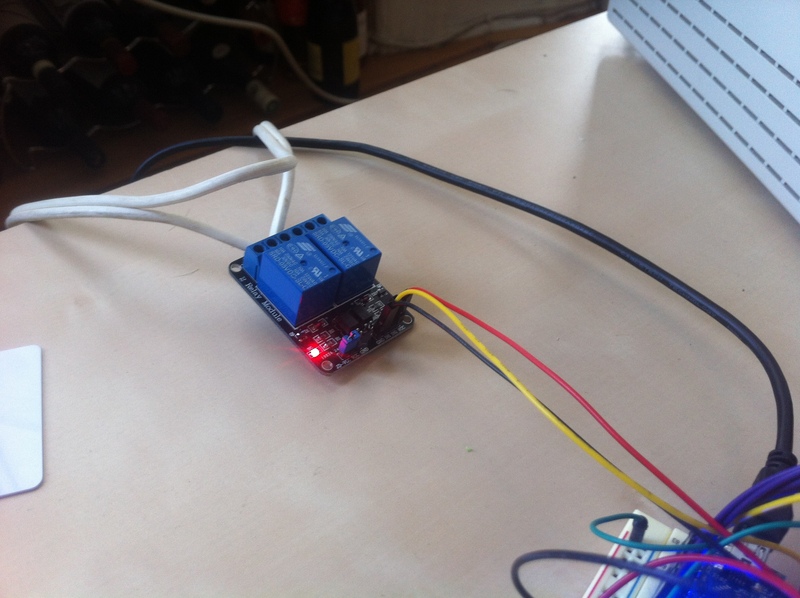 If that ID exists in a list of allowed users, then the Arduino activates a relay that allows power to flow to the Mac. If the ID is not in the allowed list, the relay stays deactivated. 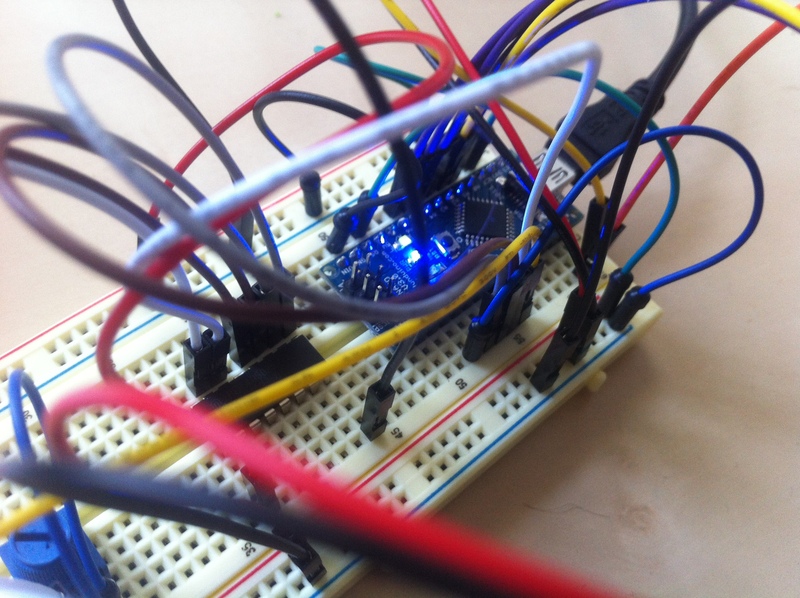 Since the PN532 operates at 3.3V, and the Arduino at 5V, a 4050 level shifter chip is used in the communication between them. 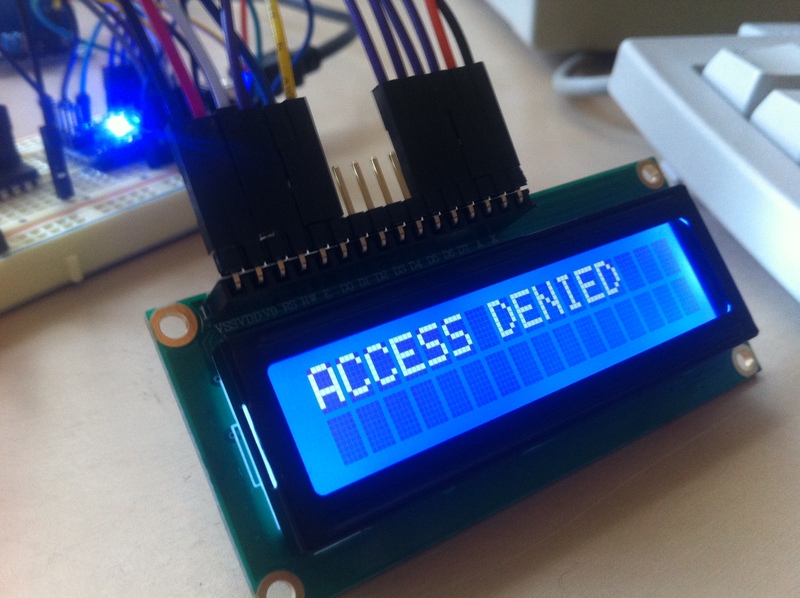 I’ve also wired in a 16×2 Character LCD screen to message to the user that their card has been read and whether access is ‘granted’ or ‘denied’.